LONGMONT, COLORADO — Arthur G. Barber was born in St. Ignatius, on Nov. 4, 1936, to Arthur and Lillian (Tinka Weivoda) Barber. A member of the CSKT, Art spent his early youth (wartime) with brother, Dale and Uncle Wally on George and Anna’s (grandparents) ranch on Mud Creek. 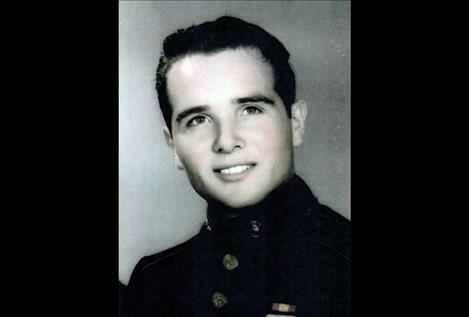 Later he moved with family to Whitefish where he attended school and worked various jobs on the Great Northern Railroad and spent one summer running a gas station before enlisting in the Marines in 1954. On Aug. 12, 1961, Art married the love of his life and best friend, Patricia Peterson in San Bernardino, California. They had two sons, Arthur Guy and Keith Dale. Art was honorably discharged from the Marines as an E6 Staff Sergeant after 12 and one-half years of service. Art worked almost 40 years of military and government services including one and one-half years at CSKT as the Economic Development Administrator and as Superintendent of Blackfeet Agency from 1990 until he retired. Art was diagnosed with lung cancer in May of this year and was so grateful for the professional and most caring treatment received from the many doctors, nurses and staff at both Longmont United and UC Longs Peak. Art passed June 9, 2018, in Longmont, Colorado. Preceeding Arthur in death are his parents; his wife, Patricia; his son, Keith; his brothers, Dale and Scott; his sisters, Geri and Jacquie and Wally, his uncle. Art is survived by his son, Arthur Guy; his granddaughter, Riley Marie; his sisters, Judith and Pat Bears of Polson, Revan and Ron Rogers of Pablo, Teri and Cyle Wold of Florence; his brothers, Barry Barber and Ralph (Carol) Brown of Oregon; and numerous nieces and nephews. Art’s family was always number one. Art loved a challenge and met it head on. He was quick to see humor when needed and was a great story teller ... he didn’t forget anything. A donation to your local library may be made in memory of Art’s avid lifelong love of reading. Condolences may be sent to: Arthur Barber, 4638 Timberline Ave., Firestone, Colorado 80504.